Hear those sirens in the background? Don’t worry, it’s just us at Paste, clinging to our Life Alerts because Childish Gambino dropped two new songs this morning and help, we’ve fallen and we can’t get up. In case you—like sweet, sweet Cardi B revealed in this now-deleted tweet—live under a rock and/or are geriatric, Childish Gambino is Donald Glover’s stage moniker. The 30 Rock writer turned actor turned comedian turned rapper already obliterated the internet this summer when he debuted two songs while hosting SNL, one being the instantly iconic “This Is America.”The track’s corresponding music video is unflinchingly political and so densely packed with symbolism that there’s probably still allusions left to unpack, long after the song went platinum. Now, Glover’s back with two tracks, titled “Feels Like Summer” and “Summertime Magic.” The new songs are lighter, both thematically and sonically, than “This Is America,” and are appropriately coupled under the title Summer Pack on Spotify. On Sept. 6, Glover kicks off a North American tour out of Atlanta, Ga. with Rae Sremmurd and Vince Staples. He’s hinted that his next album will be his last, but Chance the Rapper has confirmed that he has recorded at least six tracks “that are all fire” with Glover for a forthcoming project. Stream Summer Pack below, on Spotify here or on Apple Music here. 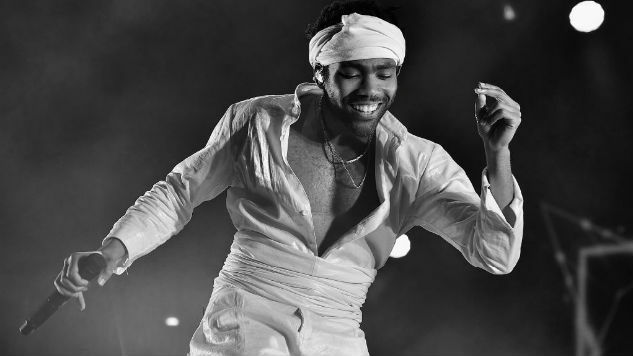 Find an ancient (read: circa 2011) Gambino show from the Paste archives further down.